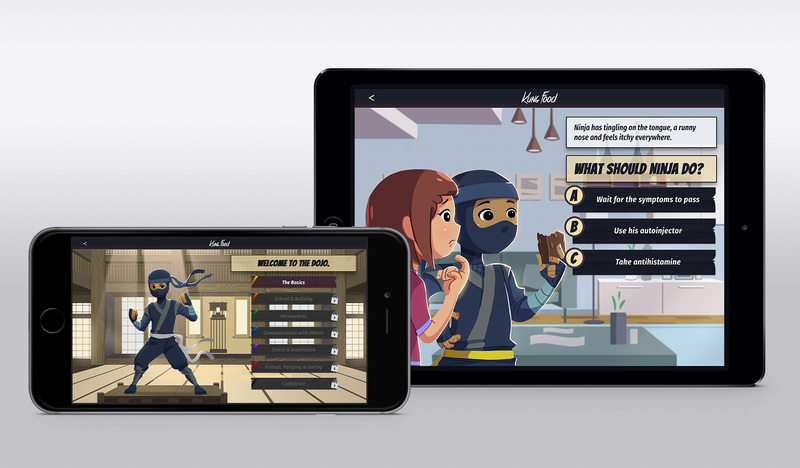 The Children’s Allergy & Asthma Education Centre approached Tactica to conceptualize an app to improve the quality of life for youth living with food allergies. 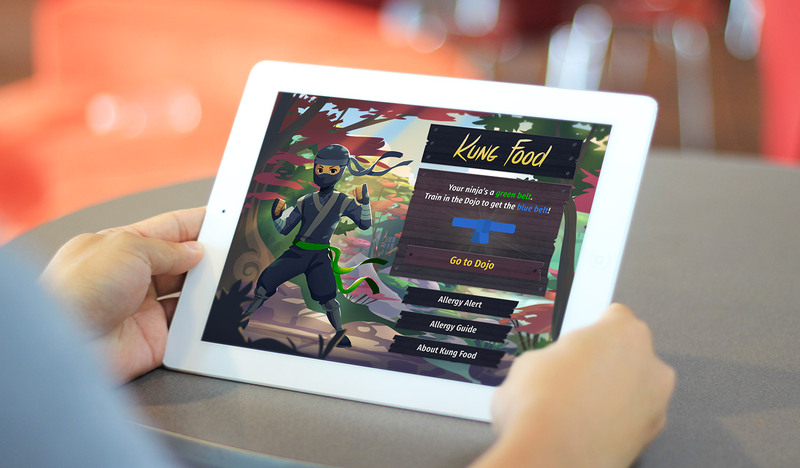 Tactica delivered KungFood – a food allergy app featuring personalization, gamification, a quick reference allergy guide, an allergy attack simulator, allergy trivia games. The app is socially integrated allowing users to build, educate and engage their own support group. The project began with a strategy and needs assessment including stakeholder interviews, competitive analysis and research review to clearly understand the goals of the project and existing environment. Once the goals and objectives of the app were understood, we entered the design phase to establish the user experience (UX) and look and feel of the app. A prototype of the app was then created for in depth user testing. The Children’s Allergy & Asthma Education Centre is ecstatic with the KungFood app prototype, and immediately invested in a user testing phase that’s now underway. The Children’s Allergy & Asthma Education Centre (CAAEC) is a program of the Department of Pediatrics and Child Heath at the Children’s Hospital of Winnipeg and resides within the Thompson Children’s Allergy and Asthma Centre. The CAAEC provides food allergy and asthma education to children and their families and develops and assesses new strategies for education.